I ran some tests to find out. 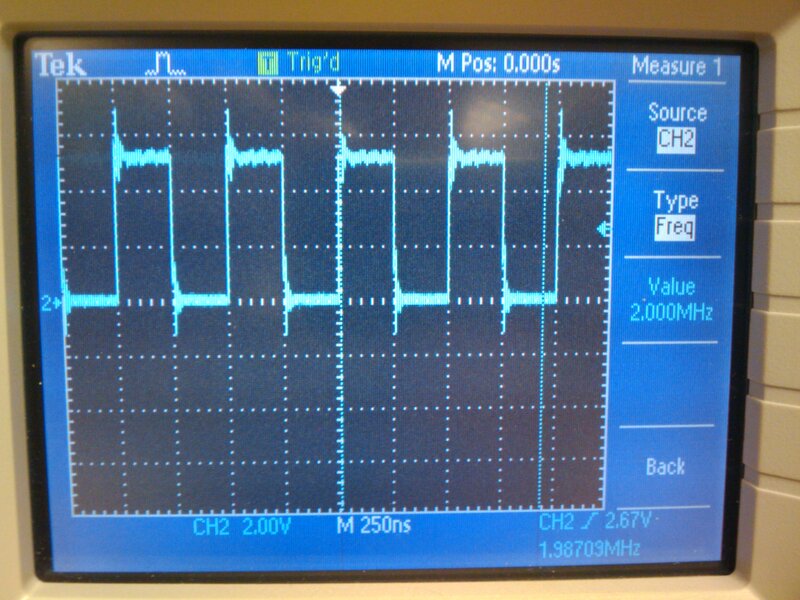 The test platform was a 16Mhz Arduino and a very nice oscilloscope watching one of its output pins. I ran two tests, one setting the pins to know values(on or off), and one that ‘flips’ the pin from its previous state. My code was inside a never ending for loop, so the result would always be a square wave form that I could measure in frequency. The estimated CPU cycles is calculated from ½ the waveform period measured divided by the period of 16Mhz, since it takes two write operations to complete a full period in a waveform. There could be some differences in the machine instructions it takes to set a bit compared to clearing a bit, so this is somewhat rough. As you can see, digitalWrite takes around 56 cycles to complete, while direct Port addressing takes 2 cycles. That’s a big difference in time for programs that have lot’s of IO operations! Wow, the Arduino method takes a whopping 121 cycles to flip a pin! The sbi() using the PIN register is a neat trick for what usually is a read only register, and is the fastest at only 2 cycles. So you see, the Arduino functions take much MUCH longer to complete pin operations then using direct port IO. But there is a reason why. Arduino does a lot of error checking, and has to look up pin number mappings to actual Atmega pins. Direct port access is not for the faint of heart, but it can be much faster for when you are ready to take off some of the Arduino training wheels. Credit to Webbot for showing us the PIN register trick. UPDATE: Well, it seems the attention of my article has made me aware of a neat-o library for Arduino that keeps the code simple, but runs just as fast as direct port manipulation. Arduino Forum post here. I just tested the digitalWriteFast2() function and it also seems to only require 2 cycles to complete. It is refreshing to see someone getting to the root of modern processors! Is there a setup for the Arduino that uses only assembly coding and no “operatiing system” overhead? I have stayed away from Arduino because of the overhead, and the insistence of C coding only, and endless stacks of libraries I have no idea what’s in them. The coding I do typically runs at “hardware speeds”, so I can’t afford the complexity. The other thing I want to do is to debug code while it runs, which most operating systems and the JTAG protocols forbid. (Interrupts and hardware timers must be allowed to run while in “debug mode”.) I have done this on older processors (6808 and 65816) using “NoICE debugger” but am looking for faster machines that are “hardware simple” (Englishspeak for 5V and no QFN packages). future and it is time to be happy. I’ve read this post and if I could I want to suggest you few interesting things or tips.